Choosing to follow Jesus is a life changing, momentous decision. For two thousand years people have been celebrating that decision by doing what Jesus told us to do: getting baptised. It’s an exciting, fun and deeply meaningful occasion when we say “thank you” to God for what He has done in our lives and tell the world that we have decided to follow Jesus. Come and join us for the party…! 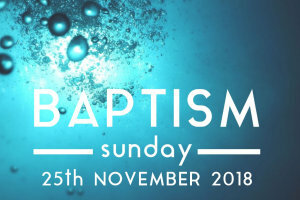 If you are thinking of getting baptised, why not sign up for a Jump Right In course to explore what baptism is all about?